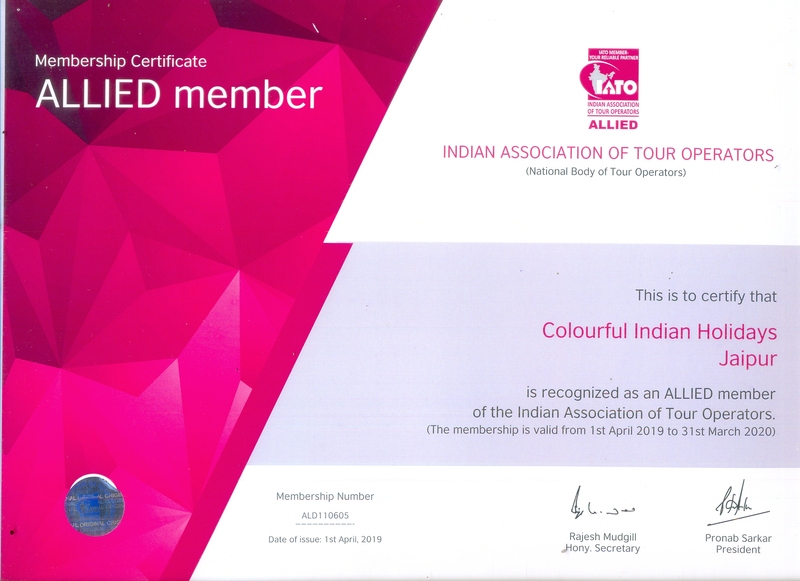 Rajasthan, the land of Maharajas, is known throughout the world for its majestic palaces, alluring forts, captivating havelis, and exciting culture. This royal state is also popular for its magnificent temples like its impressive architecture, and most of them reflect the artistic brilliance of the skilled sculptors in ancient times. Travelers can get an idea about the rich culture, history, and heritage of the state by visiting these temples. 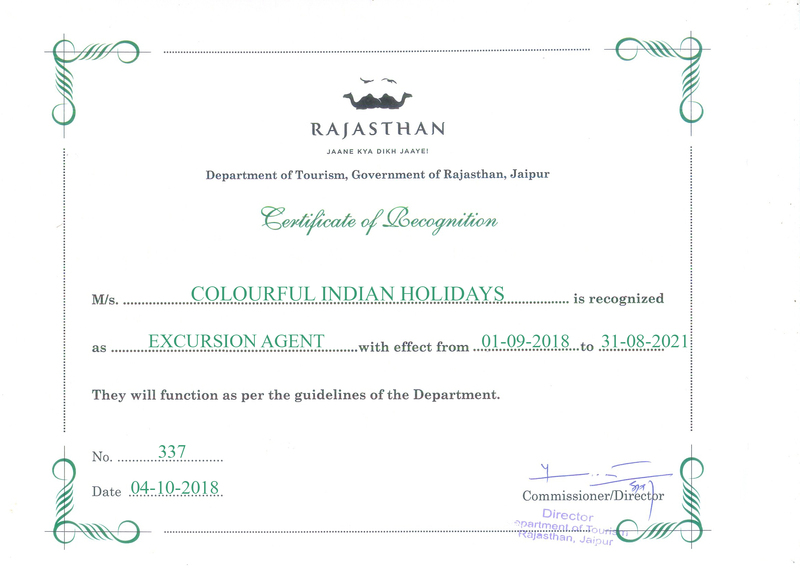 We, Colourful Indian Holidays, have shortlisted the most popular temples in Rajasthan to let you have the best pilgrimage holidays in this state. 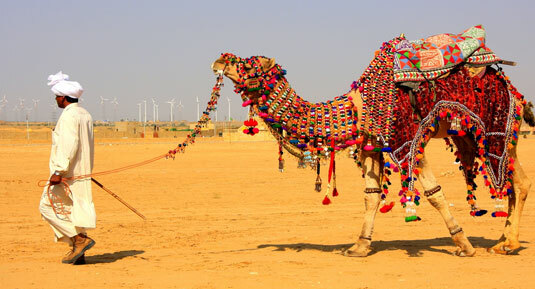 Rajasthan, a favorite spot for holidaymakers, historians and wildlife enthusiasts, is famous for its architectural wealth. 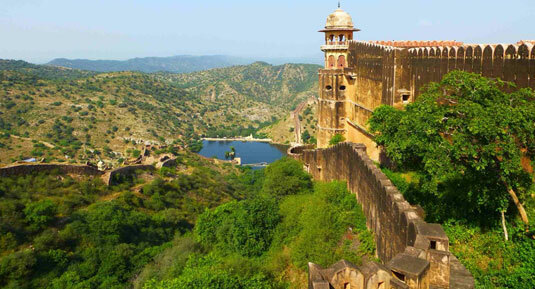 Each visitor to this state admires its stunning architecture from the elegant palaces and forts to luxury hotels. 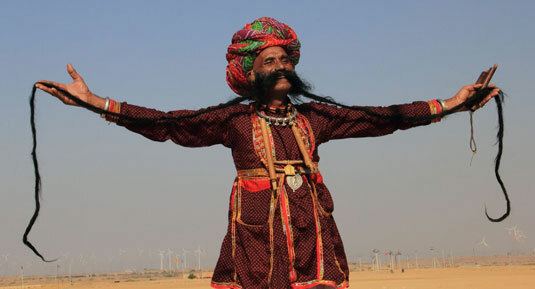 They also love its cultural and traditional values and rich heritage. This imperial state is also blessed with plenty of magnificent temples famous its eye-catching beauty and unique rituals. 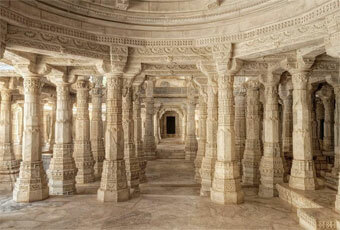 Once you visit these temples, you can understand the creative glory of the stone carvers of the bygone era. Some of the popular temples of the state include the Dilwara temples, Jain sanctuaries, Eklingiji sanctuary, and Ranakpur Jain sanctuaries. 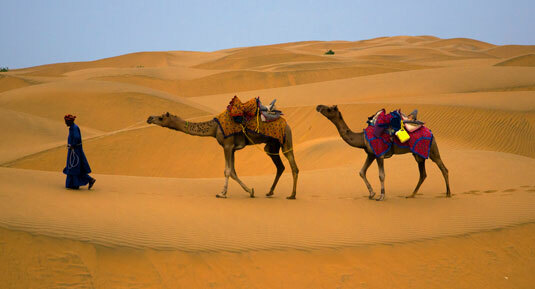 With so many Hindu and Jain temples, Rajasthan is visited by innumerable devotees. 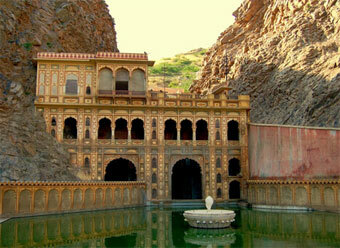 Take a look at some of the popular shrines in Rajasthan for a pleasant and hassle-free pilgrimage. 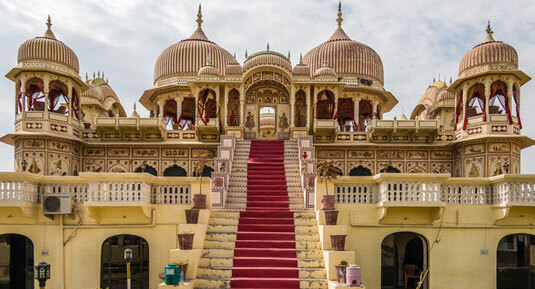 Located in Pushkar, close to the serene Pushkar Lake, the 2000-year old Jagatpita Brahma Temple is dedicated to Lord Brahma, the creator God as per Hindu Mythology. People take a dip in this holy lake before entering this temple to offer prayers. Built with stone slabs and marble, some attractive features of this temple are its red-colored shikara and the pillared canopies at the entrance. You can see a hamsa-bird motif on it. A turtle figure made of silver on the marble of the Brahma Temple is its another attraction. Visit this temple during Kartik Poornima so that you can be a part of the grand religious festival. 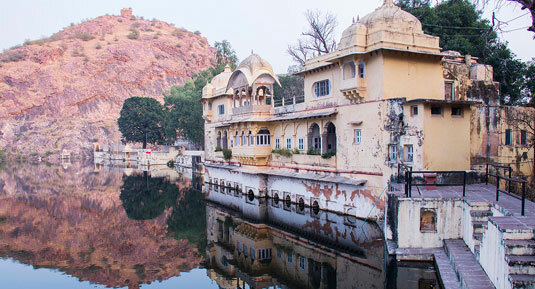 People who wish to visit this temple in Pushkar can hire taxis or take local transportation from Ajmer. 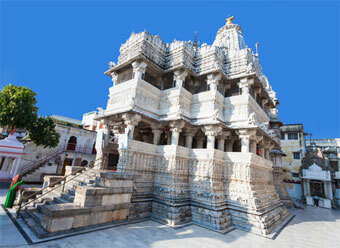 Devoted to Lord Vishnu, the Jagdish temple is a large temple in Rajasthan located in Udaipur. Indo-Aryan architectural style is the main attraction of this three-storeyed temple. Each visitor shall admire its painted walls, charmingly carved pillars, decorated ceilings, and luscious halls. The architectural charm of this temple and its beautiful interiors cannot be explained in mere words. 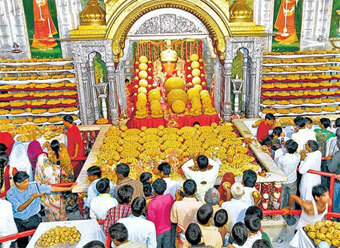 Visit this temple during the festival to see its pomp and eye-catching decor. 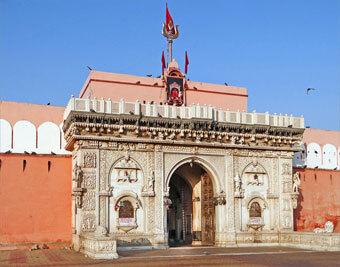 The Karni Mata temple is a must-visit temple in Rajasthan. 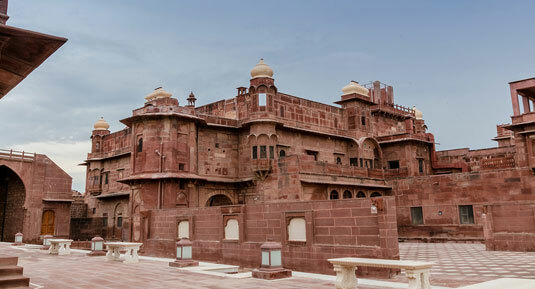 Designed in Mughal style, this temple is located almost 30 kilometers away from Bikaner in a village named Deshnoke. It is also known as the ‘temple of rats’ as this temple is having more than 20,000 black rats and revered them. Devotees believe that their wishes get fulfilled by praying to these rats. Since this destination is well-connected with almost all kinds of transportation, reaching this temple is pretty easy for travelers. The Moti Dungri Ganesh Temple dedicated to Lord Ganesh is another great pilgrimage center in Rajasthan. Located on the top of a small hill in Jaipur and surrounded by an elegant palace, this shrine draws travelers with its modern Indian architecture. There is a large idol of the deity in the heart of this temple. With excellent transport facilities, it is easy for travelers to reach this temple. 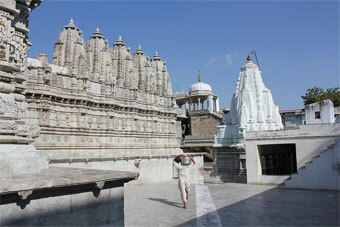 The Dilwara Temples are one of the must-visit pilgrim sites in Rajasthan which are famous for its architectural beauty. Located in Mount Abu amidst forested hills, these temples were built to Jain Tirthankars and among the most revered worship places for the Jain community. Visitors of this temple also admire its picturesque landscapes. 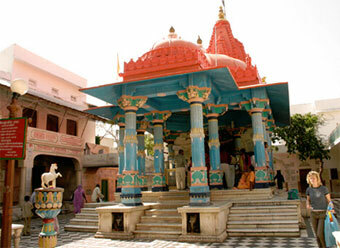 Another revered place for devotion in Rajasthan for the Hindus is the Eklingji Temple. 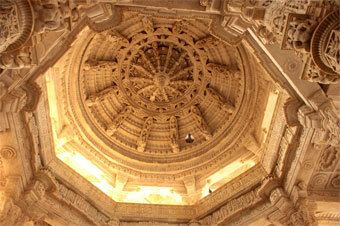 This beautifully carved Shiva temple is at Kailashpur, a beautiful town located nearly 22 kilometers away from Udaipur. The idol of Shiva in this temple is 50 feet tall with four faces. Each face depicts four different forms of the Lord. Since this temple lies on National Highway No.8, it is easy for devotees and tourists to visit it to offer prayers and enjoy its architectural beauty. 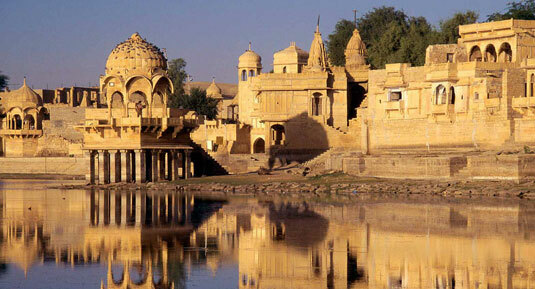 Visiting the ancient city of Osian near Jodhpur shall be a mind-blowing experience for both holidaymakers and pilgrims. 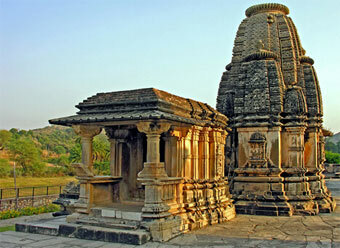 The Osian temple is the main attraction of this destination. Built during the medieval age, it is a temple complex where you can find several temples dedicated to different Gods such as Lord Surya, Lord Mahavira, and Sachiya Mata. Each temple fascinates travelers with its amazing work of art and grace. Osian is a major pilgrimage site for the Oswal Jain community. Birla Temple, also known by Lakshmi Narayan Temple, is another architectural jewel in Rajasthan. Nestled at the foot of the majestic Moti Dungri Fort, this temple built by the Birla group draws devotees and tourists with its magnificent sculptures. 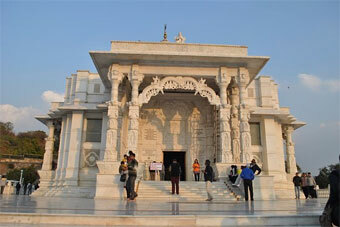 People from across the globe visit it to enjoy the eye-catching artwork on the walls of this white-marble temple. The Galtaji temple dedicated to Lord Hanuman is a famous tourist attraction in Rajasthan. This pilgrim site is located in the city of Khania-Balaji almost 10 kilometers away from the Pink City of Jaipur on the Aravalli Hills. Since many monkeys roaming freely within the temple complex, it is also known as the Monkey Temple. A natural spring flows downwards from the hilltop is a great feature of this temple. 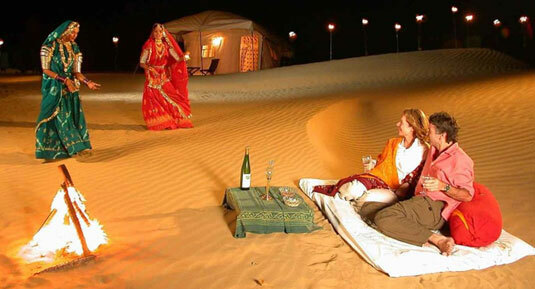 Visitors can enjoy mesmerizing views of the Jaipur City from the hilltop. The beautiful location of this temple is also great for photography. Located in the heart of the alluring Aravalli Hills almost 95 kilometers away from the city of Udaipur, the Ranakpur Jain Temple is a fine example of art and culture of Rajasthan. 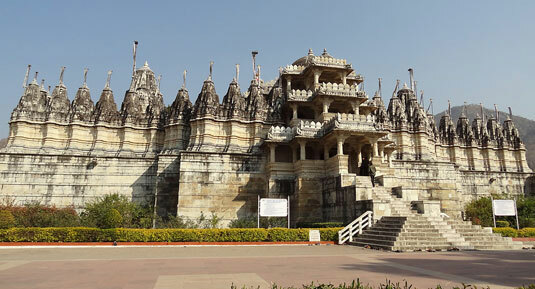 The three-story temple is made up of marble is a treasured tourist spot especially for the Jain community. Surrounded by numerous pillars, exploring this temple shall be a wonderful experience. 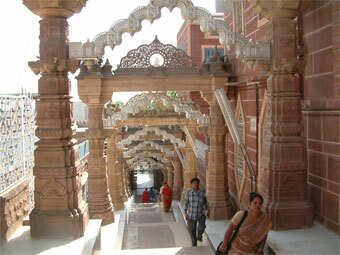 With four entrances and one image in each direction, this temple is also known by Chaturmukh Jain Temple. Visit this temple to enjoy its art and architecture. Dedicated to the Goddess Vedi, the Vedi temple is an ancient architectural marvel located in the surrounding area of the captivating Kumbhalgarh Fort. This temple is a UNESCO World Heritage Site and people who visit the fort to enjoy its majestic architecture also visit the temple. In addition to the Vedi Temple, there are a few more beautiful temples within the fort. 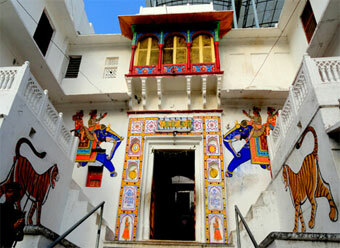 Visitors need to pay a nominal amount to enter the fort but there is no entry fee for paying a visit to this temple. Rishabhdeo Temple is another well-known temple in Rajasthan located nearly 65 kilometers away from the Udaipur City on the Udaipur-Ahmedabad road. Dedicated to Lord Rishabh Deve, or Adinath, it is prominent Jain pilgrimage site. The idol in this shrine is black in color and saffron or kesar is used to worship it. This ancient idol is believed to be worshipped by Acharya Vidyanand in the 9th century. Kankroli Dwarkadhish Temple is a famous shrine in Rajasthan located almost 65 kilometers away from Udaipur in a small town named Kankroli. This temple is located on the banks of the serene Rajsamand Lake in a relaxing and peaceful ambiance. Dedicated to Lord Dwarkadhish, one of the names of Lord Krishna, many people visit this temple to offer prayers and relieve their tensions. The soothing cool breeze from the lake and the tranquil environment of the temple help devotees to forget all their problems and soothes their soul. 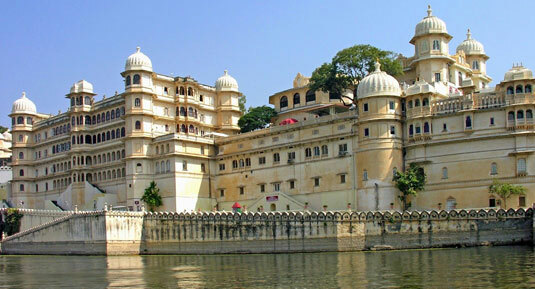 Travelers can take buses or hire taxis from Udaipur to reach this temple. Rajasthan is not only famous for its exquisite palaces and forts but also for its stunning temples with intricate carvings. 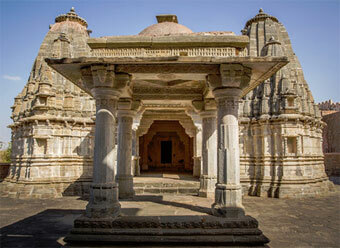 Visiting the temples in this state also helps travelers to explore its architectural wealth. Be it temples or mosques, Rajasthan is an incredible place to pray with heart and soul and quench the spiritual thirst of travelers. 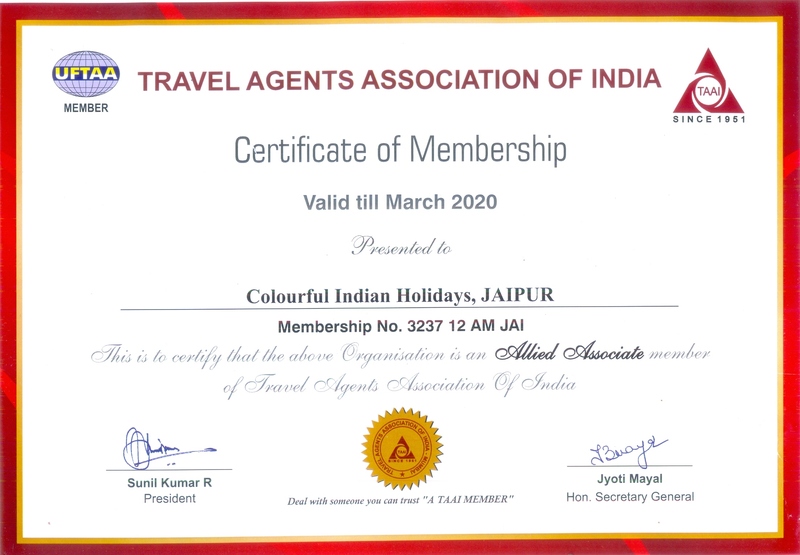 Plan some pilgrimage holidays in Rajasthan through Colourful Indian Holidays and to cherish the memories of it for long.